Keystone Neighborhood Watch now has a way to report suspicious activity or make a tip online by filling out the suspicious activity report. As always, you can call in any reports to 918-246-6644. Important numbers to keep handy for when you need them. Most parts of our Keystone Neighborhood Watch area are unable to call 911 and get the correct emergency call center, so you have to call the numbers for the appropriate agency directly. Click on the pictures and save them to your computer and phone so you will always have them handy. Find Keystone Neighborhood Watch on Facebook. We have a member’s only Facebook page where you can get the latest news and events within the community. Our Facebook page is where we post breaking news, such as activity within the area, burglaries in progress, current fire related conditions such as burn bans, etc. This page also allows members to communicate with other members about issues within the neighborhood. 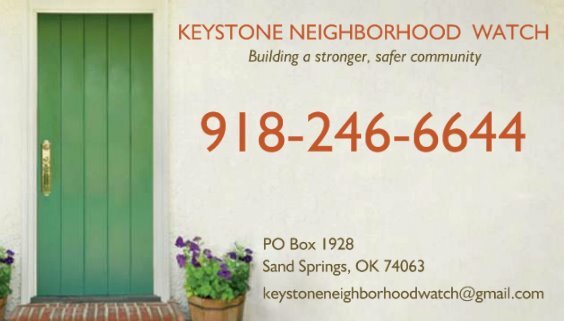 You must be a member of the Keystone Neighborhood Watch and have a Facebook account to access the member’s only page. To become a member of KNW, please fill out our Membership Form. To be added to the Facebook page, go to KNW Facebook and ask to be added to the group. Keystone Neighborhood Watch now has a public Facebook page dedicated to helping lost and found pets find their way home to their families. 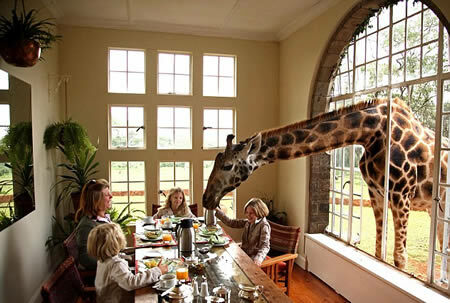 Saturday, April 4th around noon my pet Giraffe named Stilts went missing. He was last seen in the 4500 block of Tower Rd near the intersection of 47th street. If you see our beloved pet, please contact the Keystone Neighborhood Watch at 918-246-6644. Please do not post your contact information or exact house number, instead for your protection, message your contact information to Shelly Long KNW Coordinator on FB or email it to keystoneneighborhoodwatch@gmail.com, and post our number as the contact 918-246-6644. This is for your protection since this is a public page. You do not have to be a member of KNW to use the Lost Pets page. We reserve all rights to delete any inappropriate material without warning. Absolutely no soliciting. Welcome to our website! We are currently under construction this week, but have the membership sign-up form up and ready to go. Simply run your mouse over Membership & Reports in the navigation bar and click on Membership form when it appears. Fill out the form and hit submit. Please include any additional emails and phone numbers of people within the home that you would like to receive information as well as add any emergency contacts under the Additional Phone Numbers & Emails section. Check back late next week and we will have additional content up. Thanks for your patience as we expand into our new website.